Give her your favorite ADVMoto Logo tee! 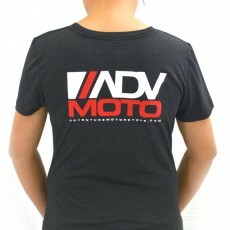 Women's ADVMoto Logo T-Shirt. Next Level Tri-Blend T-Shirt 50% Polyester, 25% Cotton, 25% Rayon. Shirts feature a fitted cut and do run small so be sure to order one size up.